You’re invited to our Spring Cocktail Launch Party! Help us celebrate this beautiful spring season with our new spring cocktails at the Little Italy Food Hall Bar. In collaboration with St. Germain Elderflower Liqueur, we will have delicious cocktail specials, a flower photo wall and giveaways! Come check out our vibrant, tasty new cocktails, served all day starting April 4th! Enjoy them on the Piazza with some food from our stations. Food happy hour specials from 3-6pm. 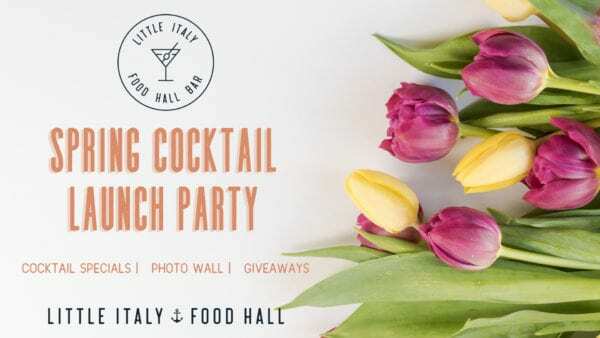 Flower photo wall and giveaways with St. Germain from 6pm-9pm // New Spring cocktails served all day!